Motoharu's younger stepsister. She wears a maid attire as she goes to a Maid School to learn to become a maid and rides on top of a cleaning bot. 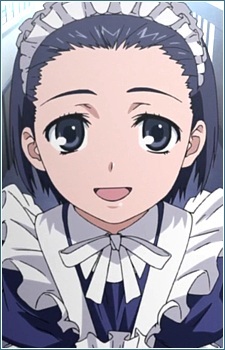 She has a friendly relationship with Touma and knows that he has a girl living with him but keeps it a secret except to Tōma himself. Even though she lives in her school's dormitory, she sometimes go to live at her brother's apartment.